Hilda Marie Reames, of Fayetteville, 72, passed away Tuesday, January 15th at Cape Fear Valley Medical Center. Hilda was born in Dillon, S.C. and graduated from Tar Heel High School. She had an extremely successful career as a legal secretary in Cumberland County. She was well loved and respected by all who knew her. She leaves behind a loving family; husband of 52 years, Richard E. Reames; sons, Rick (Heather) Reames of Greenville, S.C. and Greg (Kelly) Reames of Fayetteville, N.C.; and daughter, Kellie (Sam) Ross of Fayetteville, NC. 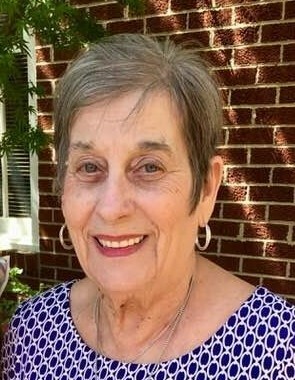 She will be lovingly remembered by her 9 grandchildren; Grayson, Ella, Sullivan, and Miller Reames of Greenville, SC., Lauren, Kate, and Jacob Reames and Hannah and Caroline Ross all of Fayetteville, N.C. One of the great joys of Hilda's life was the cherished time with her beautiful grand kids. Nothing made her happier than spending time with them. A celebration of Hilda's life will be held on Saturday, January 19 at Snyder Memorial Baptist Church. Visitation will be from 12-1:30 with service immediately following.